For B.Sc. Second Year Students as per UGC Model Curriculum (For All Indian Universities). The book is presented in a comprehensive way using simple language. 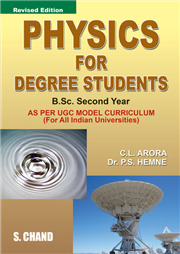 The sequence of articles in each chapter enables the students to understand the gradual development of the subject. A large number of illustrations, pictures and interestinf examples have been given to illsutrate the basic principles involved so as to make reading interesting and understandable. 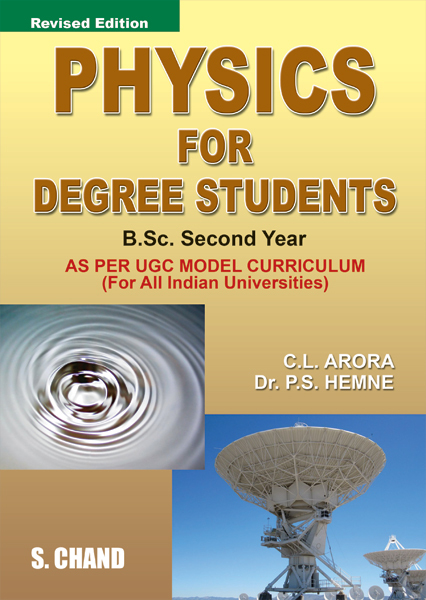 Solved examinations as well as numerical questions frequently asked in different universities are incorporated, including summer 2011 examination questions at the end of each chapter.